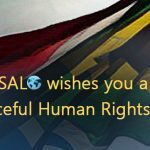 The Southern African Liaison Office (SALO) is a South African-based civil society organization which contributes to building peace and security through facilitating dialogue and consensus between national, regional and international actors. 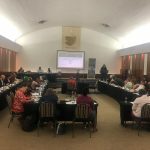 Focused predominantly on Southern Africa, especially Zimbabwe and Swaziland, in its early years, SALO is now increasingly being consulted on the Great Lakes Region, the Horn of Africa and other African regions, as well as the Middle East. SALO’s approach to building international consensus includes creating ‘safe spaces’ for formal and informal dialogues among and between state and non-state actors, informing key policy makers, and generating in-depth research and analysis. 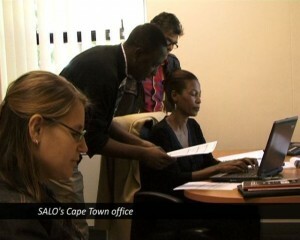 SALO has offices in Cape Town, Johannesburg and Pretoria, but largely works within a ‘virtual office’ network of core staff, flexible practitioners, policy shapers, the diplomatic community, NGOs, CBOs and the research and policy sectors. With a multi-disciplinary Board of Directors guiding their work and providing strategic oversight, assisted by a Reference Group, SALO’s small management team and staff operate efficiently through a lean, flat organisational structure. SALO is an essential catalyst for strategic engagement between African government and civil society stakeholders, and their global partners, on critical areas of democracy, peace and security. 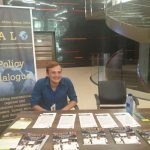 SALO contributes to African-driven policy positions for countries in crisis and conflict, through advocacy, dialogue, research and knowledge resourcing. SALO enables alignment and consensus-building between government and civil society stakeholders, and their global partners. a contribution to national, regional and international consensus and policy-based initiatives on the human rights deficits and their impact on the Continent through South African policy and diplomatic and civil interventions in relation to crises in Africa, especially in Southern Africa. 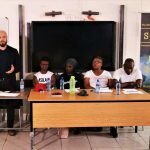 The provision of a unique space through a constructive dialogue-based framework for problem solving, policy engagements, and processes in terms of South Africa’s foreign and refugee policy reach and relations within Southern Africa. 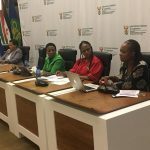 Building awareness of ongoing gender and human rights violations will, it is hoped, help safeguard these rights in the region. 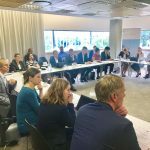 Promoting dialogue and policy consensus: SALO facilitates both formal and informal meetings with stakeholders where they can share ideas, look for areas of common interest and discuss how best to move forward together. Research and analysis: SALO’s team of researchers work collaboratively to provide analytical papers, video documentaries on timely issues, policy dialogue reports and other records of all meetings and sessions to policy makers and the general public to take the discussions further and to ensure that people have accurate information and understand one another’s positions in forming their opinions and policies. 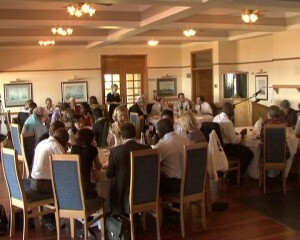 Direct advocacy: In recognition of the paramount role the South African government and the ruling party, the ANC, play within the region, and in facilitating solutions to African conflicts, SALO builds on its strong relationships within these structures to provide information, promote informed discussion and analysis. The attendance at SALO’s events speaks to the strength and diversity of its network. There is evidence of levels of engagements and responses collated in written/verbal briefing reports. Our events indicate the high levels of officials and policy shapers/makers that SALO is able to access, brief and receive briefings from. We believe the full spectrum of SALO’s work shows the building of relationships, trust and a knowledge continuum that all contribute towards more effective civic and government interventions for democracy in the region and the continent.